Environmental initiatives frequently outshine the very communities they were designed to assist. But that need not be the case. A recent project by flooring manufacturer Mohawk Industries demonstrates the potential to facilitate social empowerment and positive environmental impact continuously cultivated through “handprints” — initiatives that give more back to people and communities than they take, while helping minimize overall carbon footprint. Earlier this year, a handprint was made through a Mohawk collaboration with Groundswell, a nonprofit with a mission to bring economic relief through solar programs. 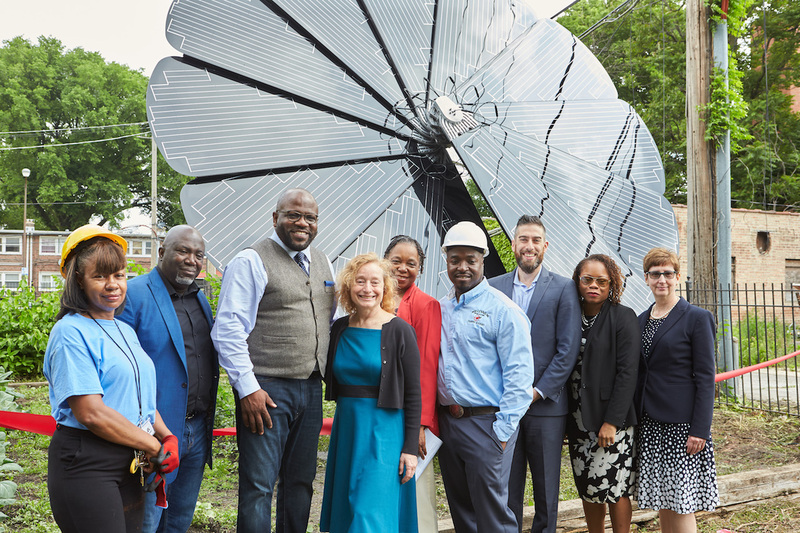 The two organizations partnered to install a Smartflower solar energy system in the south side of Chicago. This new handprint is bringing clean energy, savings in utilities, educational opportunities and other new beginnings to the underserved community where it has been planted. It is the inaugural system in the program, which consists of a series of 10 Smartflowers slated to be installed nationwide over a three-year period. In this one-hour pre-recorded webcast, George Bandy Jr. of Mohawk Industries and Michelle Moore of Groundswell discuss their unique partnership in aligning environmental stewardship with social equity. You’ll discover how solar energy-focused, community-building initiatives can be implemented into a corporate social responsibility framework, empowering inclusion and transformation while addressing global concerns. The GreenBiz webcast is free to view online. Click here to watch it on-demand.